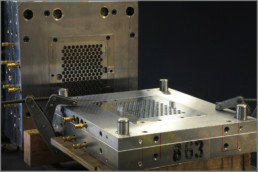 As a preferred medical injection molding supplier to some of the top medical device companies in the country, Polymer Conversions has proven over the past 35+ years that our method of utilizing scientific molding & engineering techniques for process control is second to none for the toughest projects in the medical market. 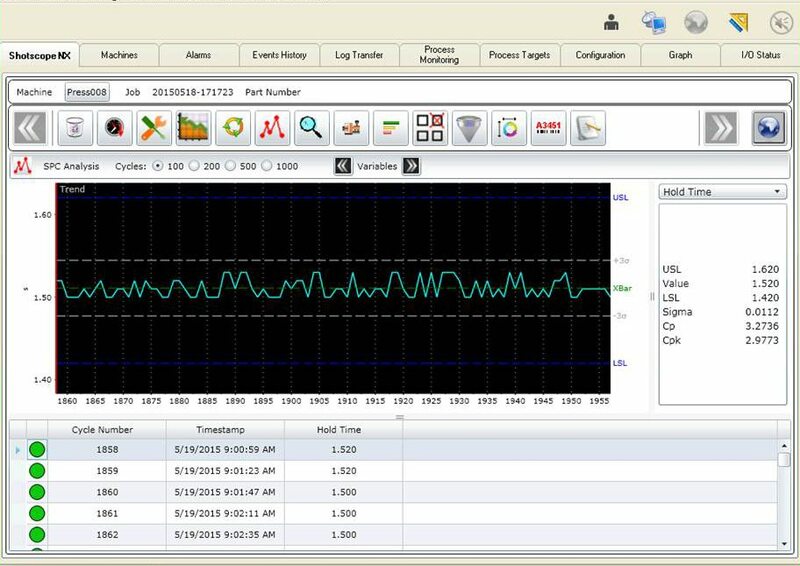 Our real-time, fully validated product & process monitoring system ensures critical batch repeatability and reproducibility. The system captures real time data 24 hours a day, with employees and management able to review process limits for each shot of every production run at a moment’s notice even after the job has completed. This allows us to make sure it meets customer required criteria and our tightly established SPC parameters created during validations. 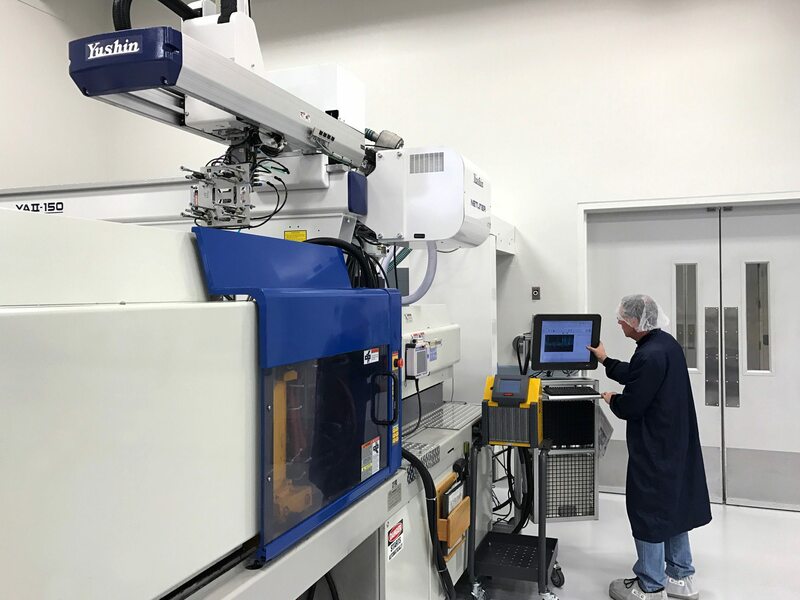 Our in-house technology provides our customers with world-class quality, full traceability, and highly technical full-service contract manufacturing solutions for medical injection molding projects. We currently maintain 25+ world-class injection molding machines equipped with 3-Axis servo robotics, providing you with extra precision & safety, to protect all of your tooling & product investments. Manufacturing and Value-Added services performed in Class 7 (10,000) and Class 8 (100,000) environments come with our full commitment to maintain an exceptional level of measurable quality in the products, processes and services we provide. All of our processing decisions are backed by pure scientific data and years of expertise in precision, tight-tolerance molding so that we manufacture products right the first time, saving the customer time and money. Processing & SPC data is highly secure and consistently backed up, which allows us to maintain records that can prove at any point in time, what the condition and environment a product lot was manufactured in. 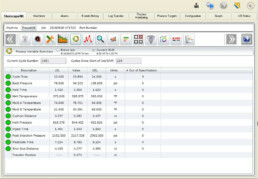 This proactive approach keeps statistical job performance information available to us for immediate access anytime, anyplace. Touch screen menus on the terminals at each press allow our technicians, processors and engineers to focus on the most critical specifications. Individual menus allow operators to check-in and check-out, as well as help material handlers prepare the correct materials for the jobs in queue, especially if they need to be pre-dried prior to start up. Additional menus help to verify that the press #, tool #, part #’s, and purchase order details match the scheduled template loaded. Any shot that runs outside tightly established customer and PCI set parameters is automatically diverted from the production stream to a separate quarantine bin, ensuring that it never reaches the customer. Our tool transfer program is a no-risk process to keep your stress low while we thoroughly document everything to share for approval before anything even happens to your tools. Our team photographs & thoroughly assesses each tool, cavity, slide, auxiliary supply, and other components that are received. Our staff then provides detailed documentation of the current mold condition upon receipt, and advises on any required repairs. If needed, we quote any tool modifications or revisions necessary. After cleaning, modification or revision, the molds then go to the production floor for qualification and the customer is provided with sample parts for approval. (We will never run actual production orders until we receive full approval on sample parts from the customer.) Once the sample parts are customer approved, we then proceed with production orders and make sure that we excel at completing the product realization process beyond expectations. Polymer Conversion’s ultra-clean tool room houses all of the resources we need to design, build, change, maintain and fully document each of your tools and fixtures. 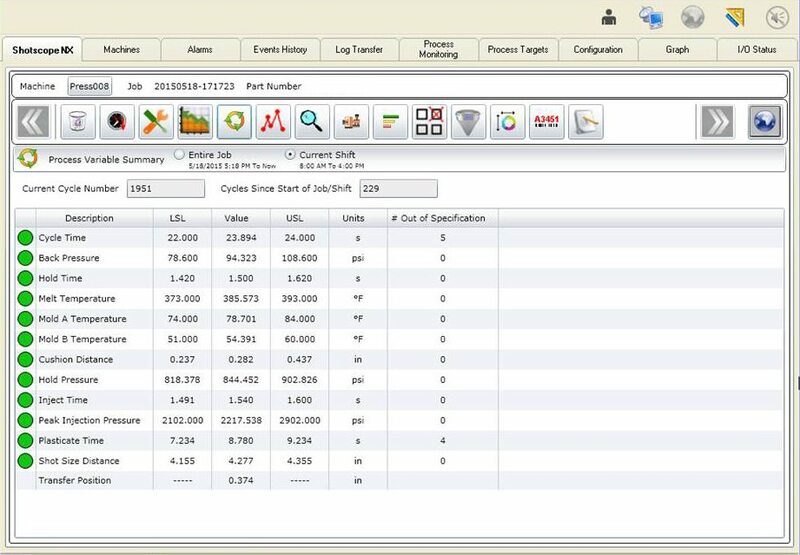 These in-house capabilities allow us to quickly kickoff and manage the entire tool build for either a production or prototype tool. Whether it’s a simple open and close aluminum prototype tool for initial stages of design validation, or a complex multi-cavity H-13 tool with numerous slides and actions…we’ve got you covered. Need some quick development prototypes? Polymer’s capabilities include assisting you with your prototyping needs. 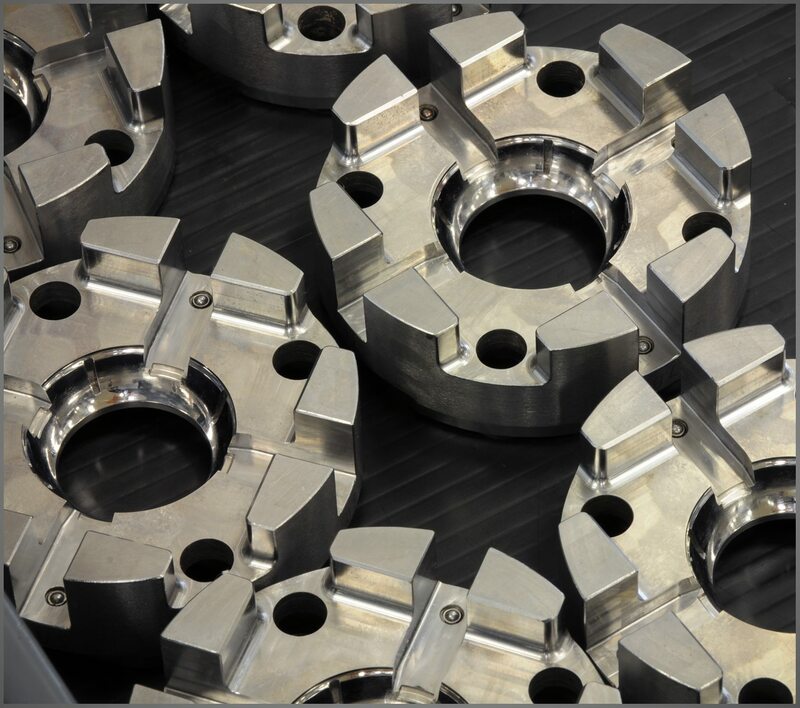 Depending on production material of choice and it’s temperature ranges, we can also offer our Rapid 3D Printed Tooling alternative, to cut your development tooling costs & project timeline by more than half that of aluminum or steel. This can offer a huge advantage if you still haven’t solidified your product’s final design specifications. Significant cost savings using this process, allows more room to make multiple design changes/cavity iterations during the pre-clinical prototype development phase, while still producing parts in your material of choice. 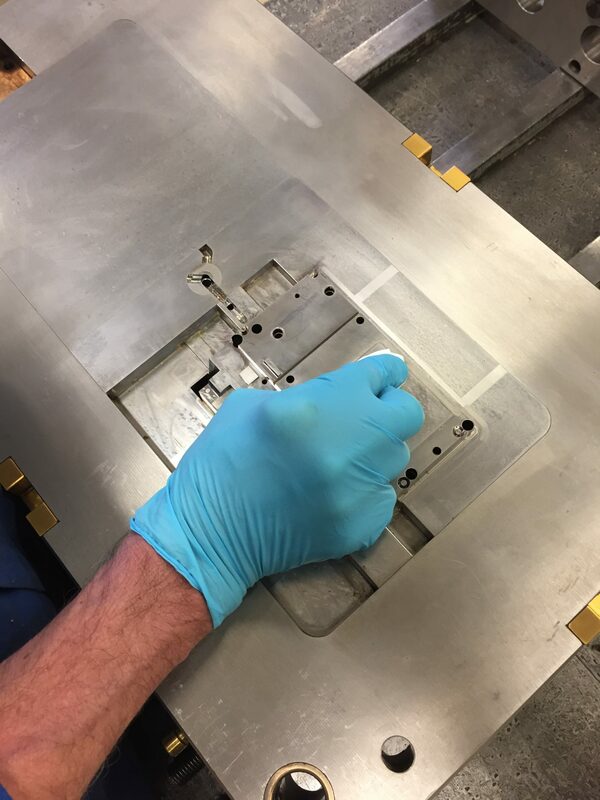 We can design and manufacture our production, quality and secondary operations fixturing, as well as the EOAT (end-of-arm-tooling) for the molding department, in-house when necessary. 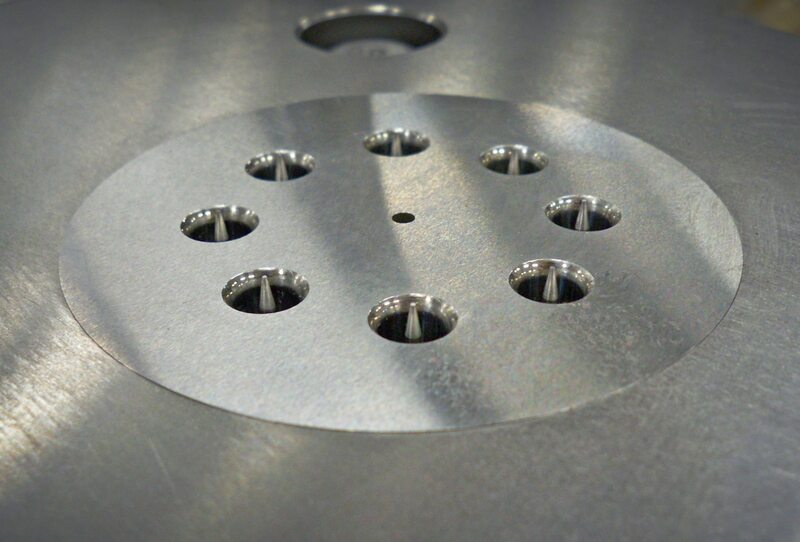 This often helps to reduce lead time and cost, and ensures precision and quality are built into a process from the beginning. A detailed mold maintenance program ensures maximum tool life and accuracy. After every production run, molds are thoroughly cleaned and examined before storage, to ensure the highest tool quality and longest life. In-house mold storage racks hold hundreds of active molds that are in “ready-to-run” condition at a moment’s notice. We also have our maintenance department complete weekly, monthly, quarterly and yearly procedures around the entire facility, to ensure we keep everything in as much of an “as new” condition as possible. A Polymer project engineer is assigned to work with you for the entire length of your partnership with us. This partnership ensures your team that the same point person will understand and communicate the full breadth of your product offerings to fellow teammates as the relationship grows. Our expert engineering contact will then work with you on every single product, from part design assistance through full qualification and approvals. Once a part is approved and is in regular production, your purchasing team can then coordinate with our customer service representatives who will keep track of your product orders and deliverables. When you need to make changes to the design of a part or when you start working on next generation product designs, that same PCI engineer is at your disposal and will work side-by-side with you until your product modification or new product launches successfully. If you are unsure about material selection, we can help with that too. Polymer’s engineers are highly knowledgeable with everything from standard stock materials to highly complex engineered resins. 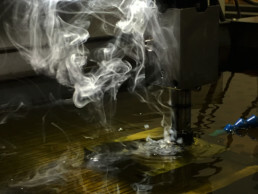 They understand everything about the clean room injection molding process as well as the properties and flow characteristics that most resins exhibit and are often instrumental in helping a customer determine whether pre-colored materials are more advantageous than adding colorant to natural resin at the press. Polymer is there to help you during every phase of your project. All of our engineers can review critical drawing tolerances and provide world-class tooling and manufacturing solutions. This important step helps to keep your costs low, a mission as critical to Polymer as it is to your own organization. Finding the right design early on will save you both time and money as your product goes from design to full production. 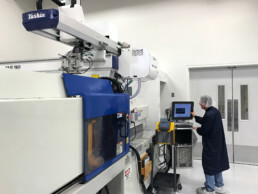 Polymer Conversions’ engineers can also help with design modifications, suggesting next generation product enhancements and looking at the entire manufacturing process to determine where steps can be combined (either in your own facility or within Polymer) or even eliminated through lean cell manufacturing or advanced processing.